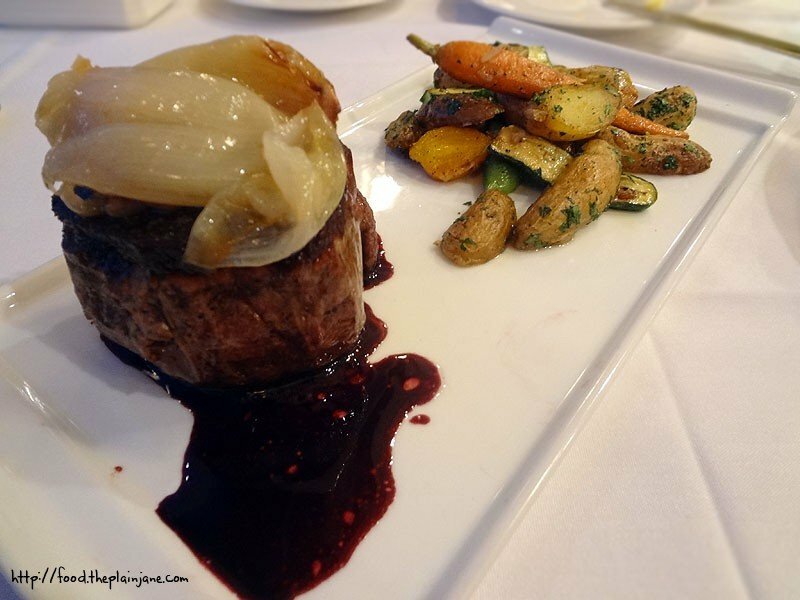 San Diego Restaurant Week is upon us yet again from September 16th-21st. It’s a great time to try out many of the wonderful restaurants in San Diego for either lunch or dinner at a reduced cost to help you get delicious food in your belly without making your wallet cry. 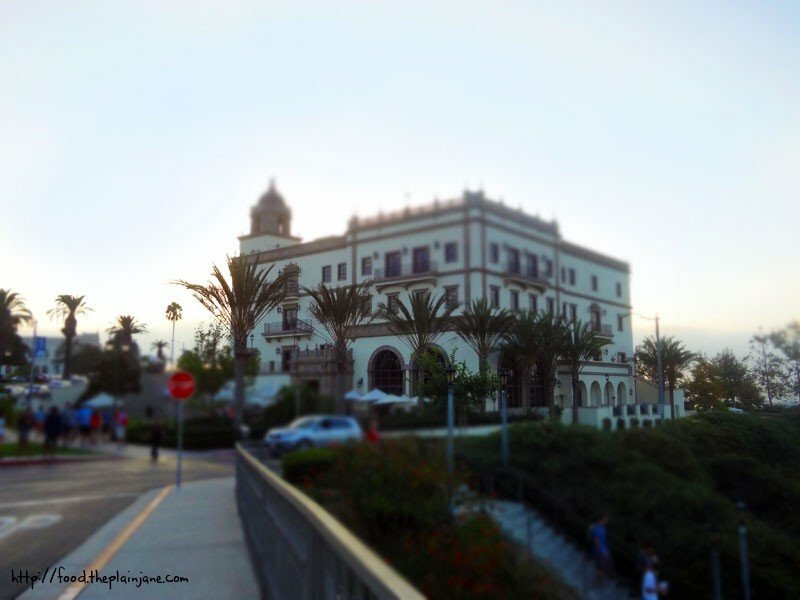 For preview week this year, I was invited to dine at La Gran Terraza, located on campus at the University of San Diego. I have to admit, I had no idea they had a restaurant open to the public on campus. The La Gran Terraza is nestled in the back of one of the buildings on campus, not far from the student lounge. Connected to it is a bar type restaurant called O’Toole’s. 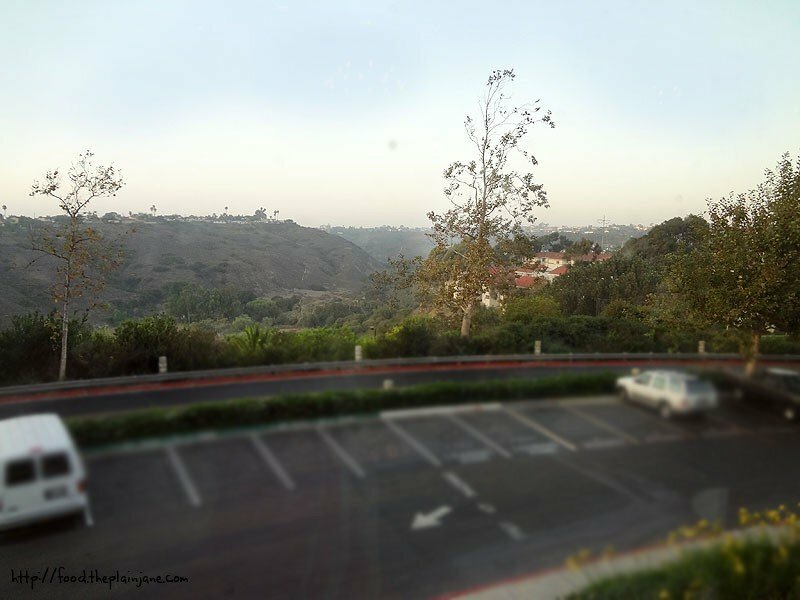 La Gran Terraza is in the back with the pretty, pretty view of the canyon. Heather, my hot date for the evening, said she could see all of the way down to the ocean while I got mostly the canyon view. You can definitely hear what’s going on in the adjoined bar, but it’s still quiet and private enough to feel separated from that atmosphere. After placing our orders, we had someone come by to offer us their breads. They had a wheat looking one, a cheese bread, and a cranberry nut bread. I opted for cheesy and cranberry nut bread. The cheesy one was my favorite of the two. The USD imprinted butters amused me. 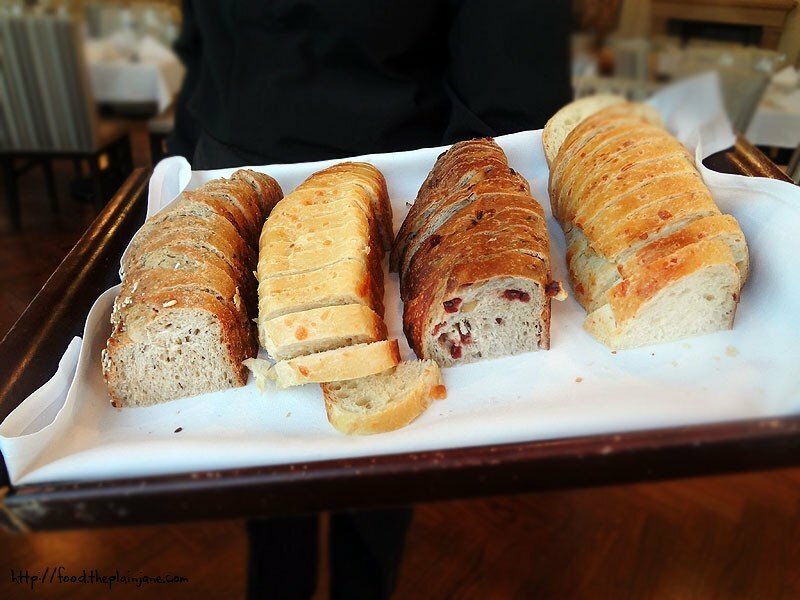 The servers were quite good about asking if we wanted more bread throughout the evening, but without being overbearing about it. I like that. I had trouble trying to pick my first course out. Lobster? Scallop salad? Oven-roasted polenta? There are some really great options! I asked our waiter what he recommended and he wholeheartedly suggested the lobster martini. He said it was very refreshing and very good and that was enough for me to try it myself. There’s a hefty piece of cold lobster sitting on top of the sorbet. It was kind of hard to eat, and I sort of just stuck my fork and knife in to cut the lobster into pieces. After that unwieldiness, I ate a piece of the lobster with the sorbet and was surprised and impressed! 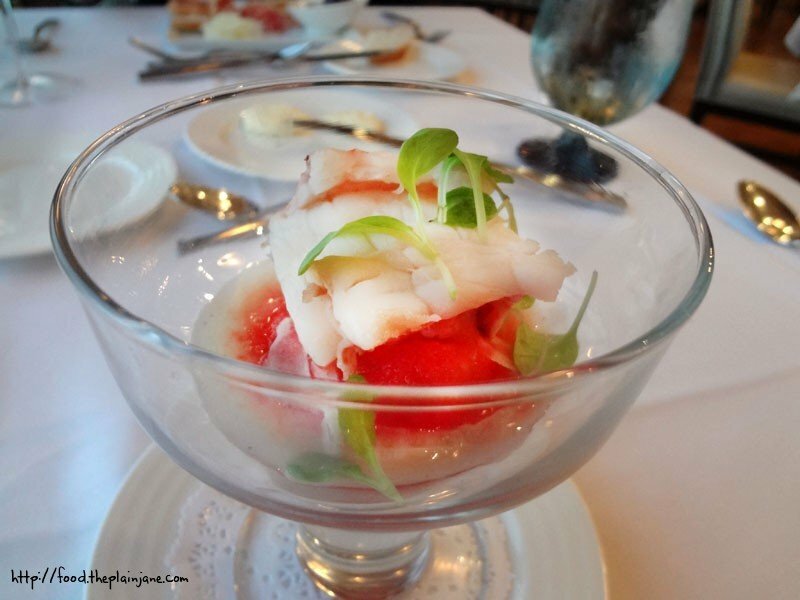 It was indeed just as refreshing as our waiter said it would be – the cold lobster pairs incredibly well with the sweet sorbet. The flavor of the lobster offset the sorbet just a tad to create a fun, rich flavor in my mouth. Mmm, flavors in my mouth. 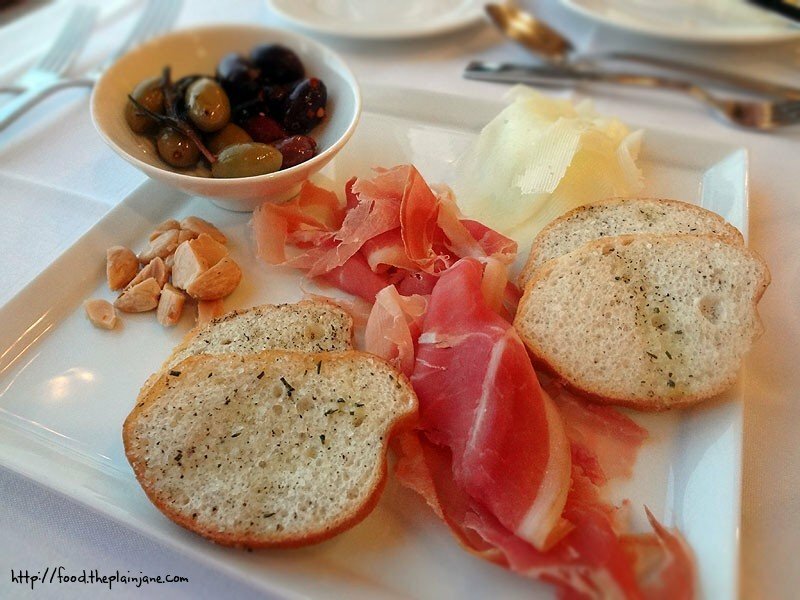 Heather opted for the Taste of Spain plate as her starter (which is not on the SDRW menu). It was a little tasting plate with treats of Spanish origin. She let me try a little bit – the ham and cheese were quite tasty, though when kind of all paired together (ham, cheese and bread) it tasted a bit salty to me. Heather said it did taste a tad salty to her, too, but that after a while she enjoyed the mingle of flavors. I didn’t touch those crazy olives though. Crazy olives do not go into my mouth. But almonds do! Okay, so… when I ordered this, I was expecting mushrooms inside of my ravioli. But I saw them on top. I forgot about the “squash” part in the description. At first I thought it was kind of weird, but after eating a few more bites it made sense. 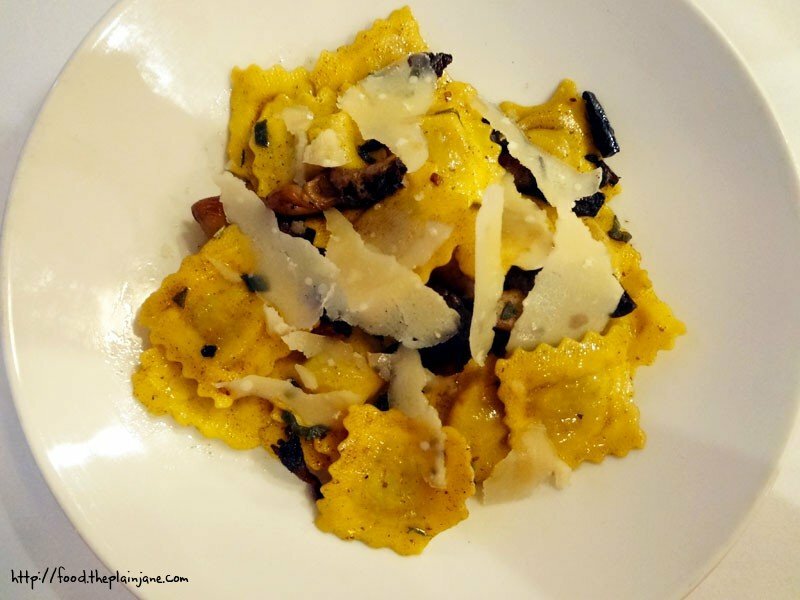 Having the mushrooms on top let’s you enjoy their full flavor and texture and contrasts nicely with the sweet squash ravioli. It’s kind of a sweet salty pairing, but with savory food instead of sweet. The brown butter sauce added a nice, nutty flavor as well and let the veggies shine through. Heather claimed she “wanted some meat”. Interpret that as you will. She went with the filet of beef and reclutantly asked for the beef to be cooked medium, knowing that medium rare is probably the “preferred” way to eat this. But whatevers. Eat it how you like! Just don’t get it well done, okay? Please? Promise me. She gave me some of the baby veggies to munch on which were quite delicious. They she gave me a slice of the beef to try. I noticed right away that it was not cooked to medium. Like, at all. It was almost rare with a very, very pink middle. “I think it’s still mooing,” she stated at one point but it didn’t deter her from eating almost the whole thing. The meat was incredibly tender but I have to say, it was just a tad underdone even for my tastes. And I like it medium rare! The cab reduction was also incredibly delicious. I suppose Heather and I could have gotten two different desserts. But we were both sold once we saw “hazelnut” and “milk chocolate” and we just ordered the same thing. Ohmygod. This was freakin’ delicious. Smooth, creamy hazelnut milk chocolate mousse. 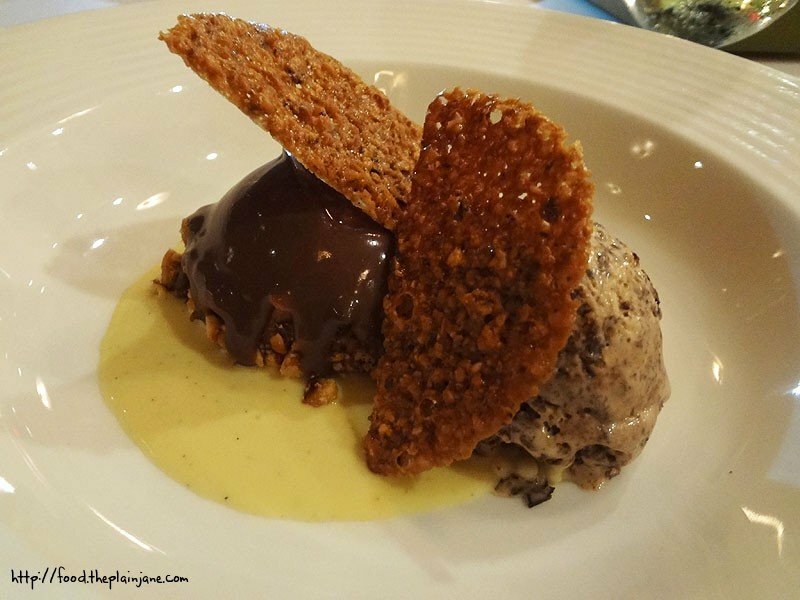 Delicious sweet cream and chocolate ice cream. Lacy crispy cookie thing. Each item by itself was tasty but putting all three together just made for heaven on a plate! There was also some creamy vanilla sauce at the bottom. I ate every last bite. How could you not?! Seriously, you could come here and brave the weird campus parking and location just for this dessert. Drive in through the “Main” entrance. There will be a little booth. Stop and tell them you’re there to dine at the restaurant and they will give you a nifty temporary parking pass. Drive over to the parking structure right across the way, on your right. You can park on the top level, the 4th level or 3rd level. 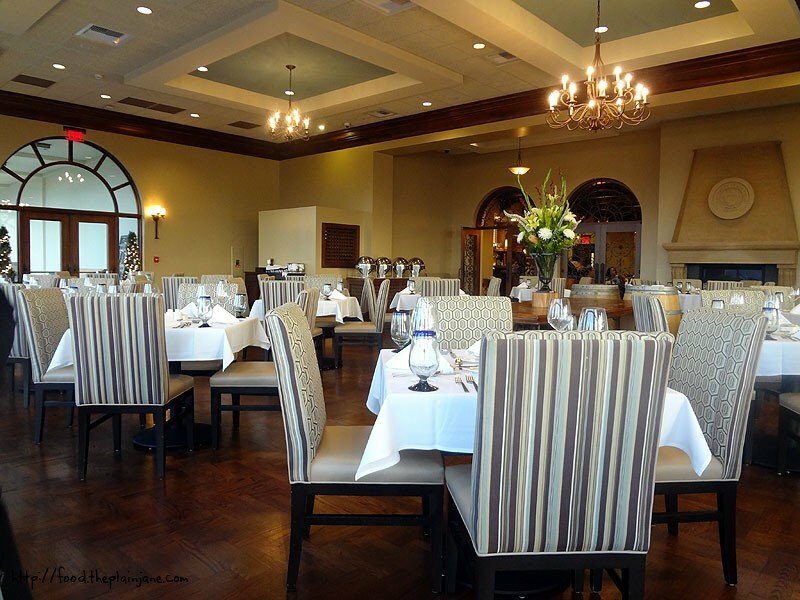 The restaurant is located in the 2nd building on your right across from the parking structure. It’s past the student lounge, tucked in the back. All in all, this was a pretty spot on dinner. The only totally weird thing about this place is the location. Also, walking on campus makes me feel old. But that dessert is swoon worthy enough for me to recommend this place. Check this or one of the other many, many restaurants participating in San Diego Restaurant Week next week! Disclaimer: I was invited to dine here by a local PR company. Our meal was complimentary. I was not paid for this review and forever and always, all opinions are totally my own. For reals. Menu for SDRW at La Gran Terraza can be viewed here. Hi Jinxi! The imprinted butter made me laugh – loved it! The mousse thing with the ice cream and cookies was SO GOOD. I might dream about it. I’ve actually eaten there! back in spring 2008 – it was for an educator’s function which USD hosted. we felt so important eating in this fancy dining area, not in the student cafeteria where we expected to eat lunch. too bad i didn’t take any photos back then! very nice post! 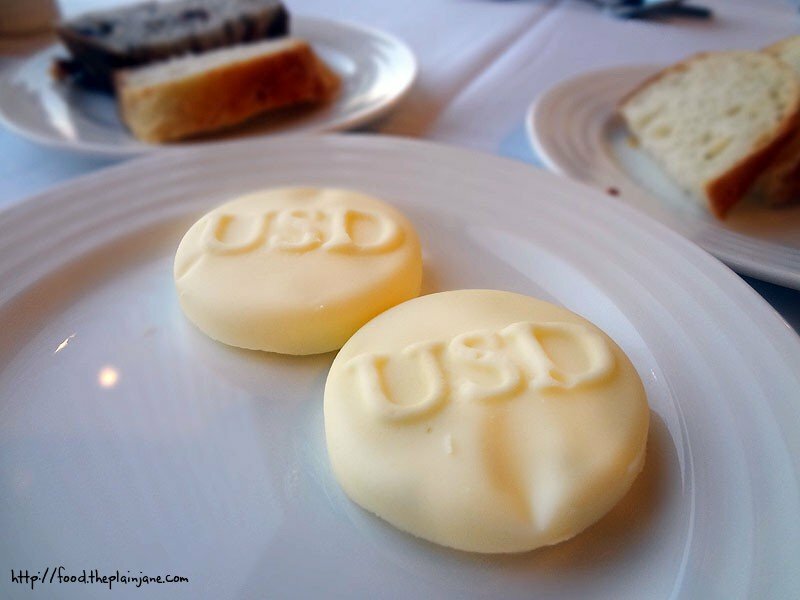 the butter with the college logo reminds me of soap. 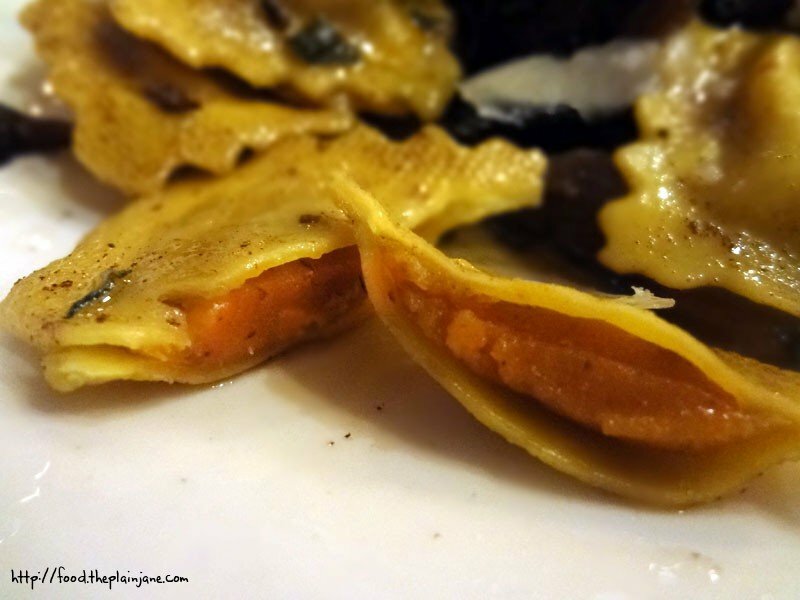 and omfg, squash ravioli????? love it! It did seem like a fancy place for special functions! The butter does kind of look like soap haha! I’ve been to their campus and it’s beautiful. Didn’t know about this restaurant! Very cool. Hi Dennis – It’s pretty classy! Totally tucked away in a building. I had never known about it before this week either.